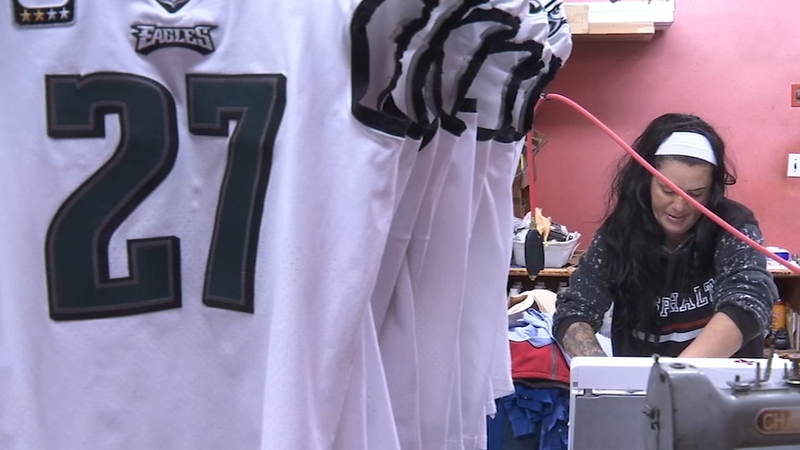 South Philly cleaners keep Eagles looking sharp. Christie Illeto reports on January 8, 2019. SOUTH PHILADELPHIA (WPVI) -- The Philadelphia Eagles are looking to take the New Orleans Saints to the cleaners on Sunday in the NFC Divisional Round. The Birds have already taken their jerseys - literally. Linn's Cleaners in South Philadelphia has been keeping the team looking fresh on game day for almost a decade. 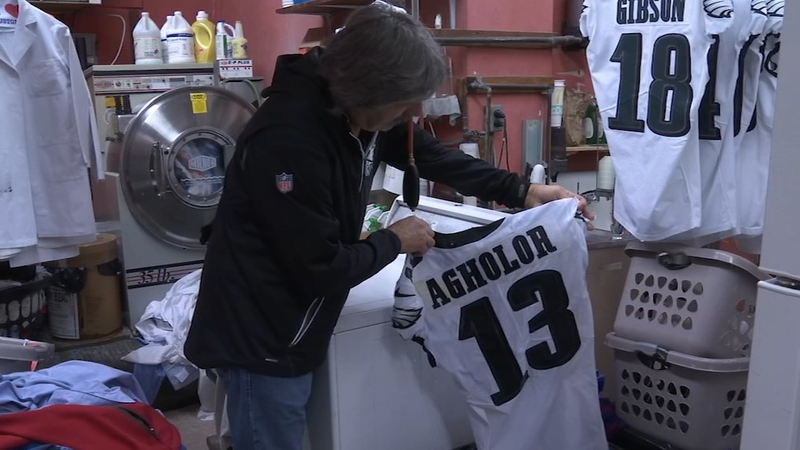 Co-owner Joe Lattanzio says while it's very cool to have the reigning Super Bowl champion's actual uniforms in his business, he doesn't take the responsibility lightly. "It's very nerve-wracking because the customers see it, they start foaming at the mouth. (They say,) 'Can I touch it? Can I see it?' I don't want them stolen. I'm scared to death so I want to get them out of here as fast as possible," Lattanzio said. Lattanzio says the uniforms came in on Monday and his team has been hard at work for the past two days. "First of all, we stick them in tubs and, when we take them out, we scrub them. By the end of the day, it goes back in the tub," Lattanzio said. The process is repeated four to five times for each garment. It's a labor of love for employees who say Sundays aren't just about their team winning. "I'll be like, 'Did they win? Let's see what color they wore,' so I know how hard I'm scrubbing," one employee said. Lattanzio points out some jerseys come in worse than others. He says the linemen's uniforms are especially dirty. As for Cameron Johnston's, not so much. "He doesn't get dirty, he's the punter," Lattanzio said with a laugh. The South Philly cleaner says it's an honor to be able to provide this service to the team. The jerseys will be shipped out on Wednesday, and the next time the public will see them will be on the Birds in New Orleans.